Barely adapted from Mod Mex: Cooking Vibrant Fiesta Flavors at Home by Scott Linquist and Joanna Pruess. Toss the pumpkin seeds in 2 tablespoons of the oil, season lightly with salt and pepper, and spread evenly on a baking sheet until lightly brown and crisp, shaking occasionally, 5 to 7 minutes. Remove the baking sheet from the oven and set aside to cool. Turn the oven up to 375 degrees. 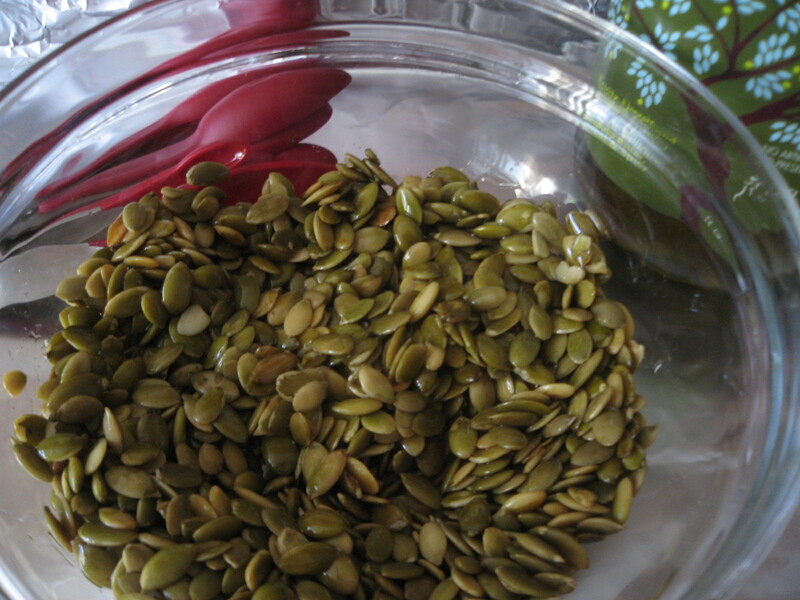 Using a blender or food processor, pulse the toasted pumpkin seeds until coarsely ground. Remove half of the seeds and spread on a plate. 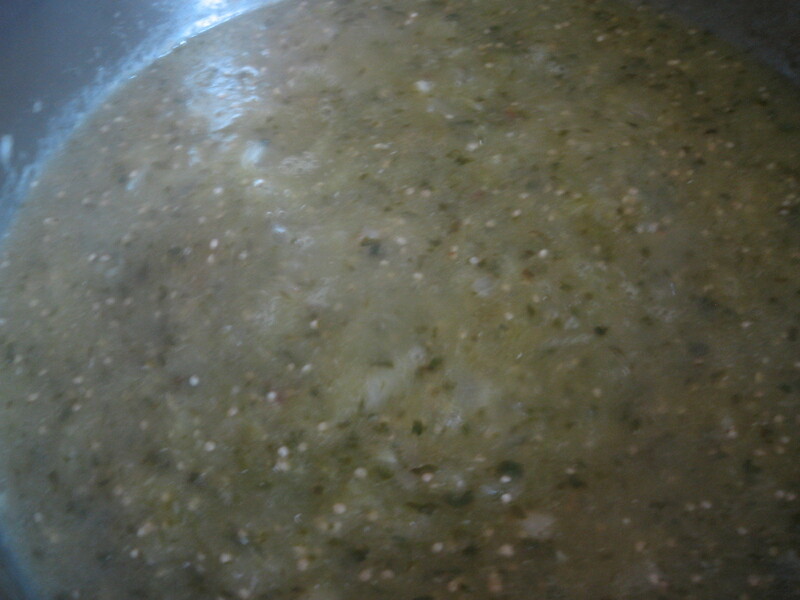 To make the pipian sauce, add the salsa verde to the blender and process until well blended. Lightly brush each salmon fillet with egg whites and season with salt and pepper. Press the egg coated side with the ground pumpkin seeds. Heat remaining 2 tablespoons of olive olive in a heavy, oven-proof non-stick skillet over medium-heat until hot. 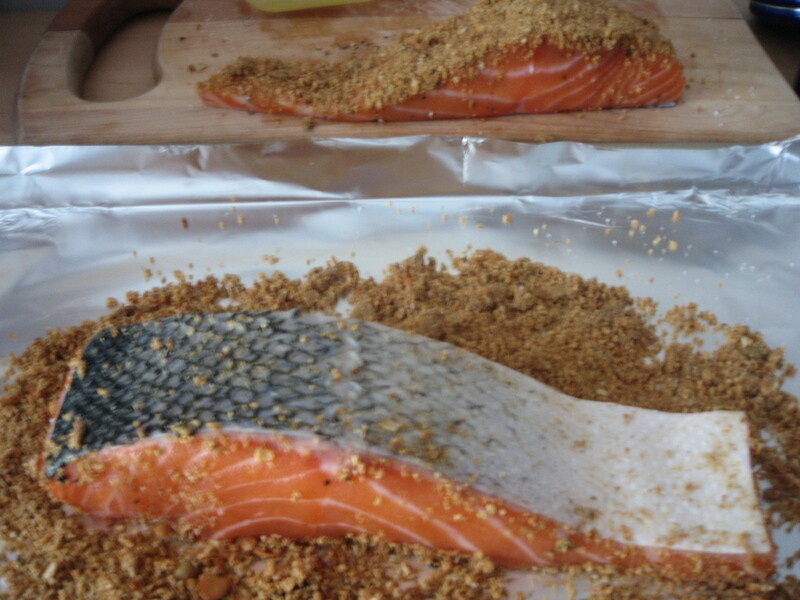 Add the salmon, crusted side down, and place the pan in the oven for 3 minutes. Using a spatula or tongs, carefully turn the fish and cook for an additional 3 minutes for medium. 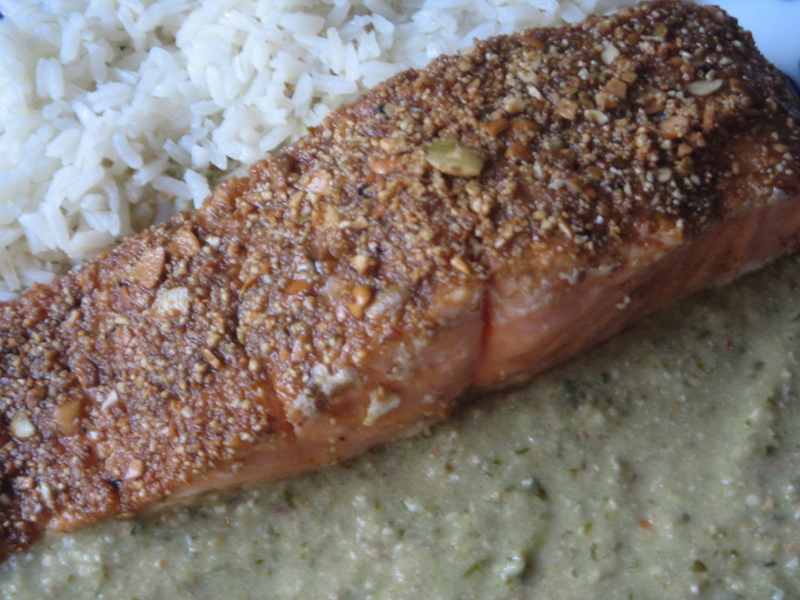 While the fish is cooking, heat the pipián verde over medium until hot. Coat each plate with sauce and place each fillet on top. Yum!! You are outdoing yourself these days! Can’t wait to try this one at home.